Although the practice of internal auditing is more complex and the expectations of auditors greater than ever, the foundation of the profession (The IPPF) remains strong and continues to provide the foothold internal auditors need to be successful. Internal Auditor’s first issue of 2017 begins by considering what matters most to today’s organizations and then reminds internal auditors of the tools they should be using, like the IPPF, to ensure a consistent and professional approach to addressing those issues. As author Jane Seago says in our cover story, “Auditing What Matters” (see page 22), “in any business, time and resources are limited, and internal auditors who want to serve as trusted advisors to the organization must ensure their efforts provide maximum return on investment.” In other words, internal auditors need to make sure they are auditing the right things. “An initial key step in elevating to be a strategic partner is understanding the organization’s strategic mission, the objectives designed to accomplish that mission, and the metrics by which success will be measured,” says Luz Dary Bedoya Bedoya of Audilimited, Organización Corona in the latest IIA Global Perspectives and Insights report, Elevating Internal Audit’s Strategic Impact. Basing their work on the International Standards for the Professional Practice of Internal Auditing is a must. However, in the 2015 Common Body of Knowledge report, Looking to the Future for Internal Audit Standards, only 54 percent of CAEs surveyed used all of the Standards, with 11 percent reporting they did not use any of the Standards. Although an improvement on the numbers reported in 2010 — 46 percent and 14 percent, respectively — the findings indicate internal audit has a ways to go. I wonder, however, whether those who say they don’t use the Standards are actually following the guidance, but are unaware they are doing so. In “Breaking Down the Standards” (page 50), Christine Hovious, director, IIA Global Standards and Guidance, acknowledges that “The phrase ‘conformance with the Standards’ can sound authoritative and overwhelming, suggesting a complex, resource-intensive effort.” But, she explains, conformance is much easier to achieve than many CAEs may believe. “In fact, numerous activities performed by practitioners likely conform with the Standards already,” she says. In her article, Hovious details the components of the Standards, breaking them down into bite-size, easily digestible pieces. 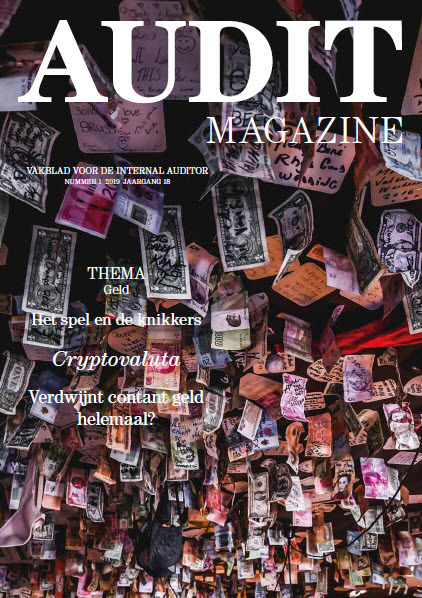 The remainder of the February issue delves deeper into the successful practice of internal auditing. From integrated audits, to ethical practice, to auditing governance, to incorporating the Core Principals of the IPPF into quality assessments, we’ve got you covered on what it takes to succeed in today’s organizations.